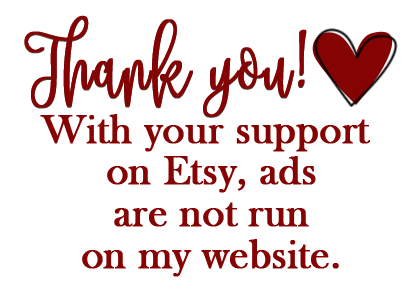 The one year birthday of Etsy is this Friday and to celebrate, we're going to have a day full of sales!! These will be announced on Facebook only. 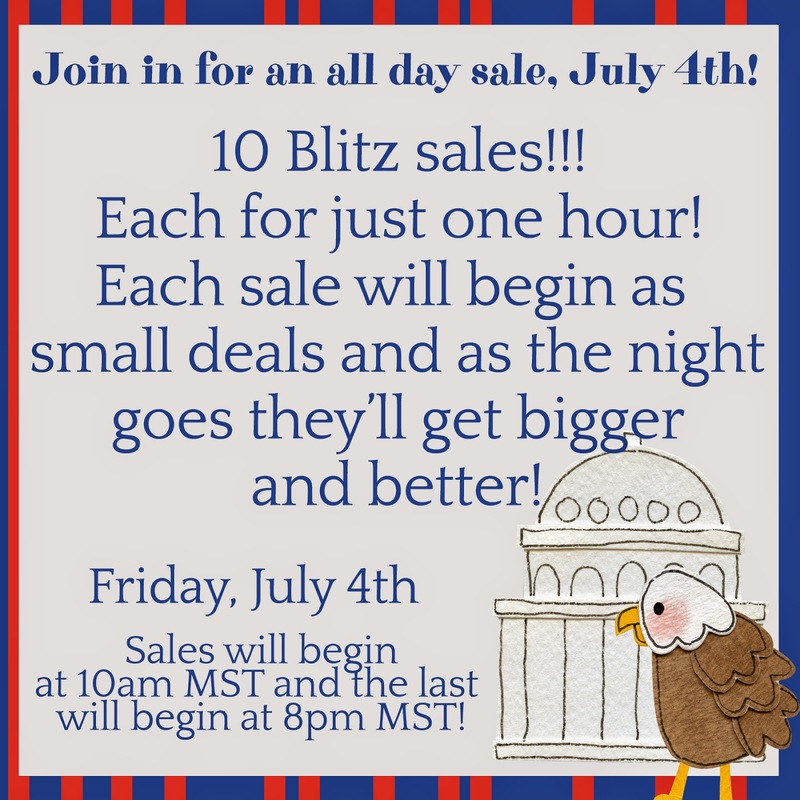 I will be sharing what each of the sales will be tomorrow (Thursday) so you'll know which ones you want. While Christ was on the Earth, He established His Church, He called and ordained the 12 Apostles and gave them the priesthood to act in Christ's name and build His Church. After Christ was crucified and resurrected, the Apostles tried hard to keep the Church as Jesus taught them, but they were killed. Soon the full truth of the gospel left the Earth, this is called the Dark Ages, however there were many truths that stayed and other churches were formed. It wasn't until the year 1820, when Joseph Smith's prayer was answered and the fullness of the gospel was restored. When his family lived in Palmyra, NY, many different religions came and taught the people, Joseph Smith studied each religion and looked for answers to his questions in the scriptures. While reading in the book of James, he came across a scripture that said that if you have a question, ask the Lord and that's just what Joseph did. He went into the grove of trees by his home, it was there that he saw Heavenly Father and Jesus Christ. He was told that the churches were wrong and to not join any of them. Through several years, he received visits from other heavenly messengers and learned that he was to restore the fullness of the gospel back to the earth. Joseph Smith was the first prophet and President of the Church, he translated the Book of Mormon, built the first temple in the latter days and received most of the revelations given the the Doctrine & Covenants. Play a matching game using different items to represent what happened during the restoration of the Church. Explain how the Church is Christ's Church and not Joseph Smith's. It is the same Church that Jesus Himself organized and the same that He continues to lead. 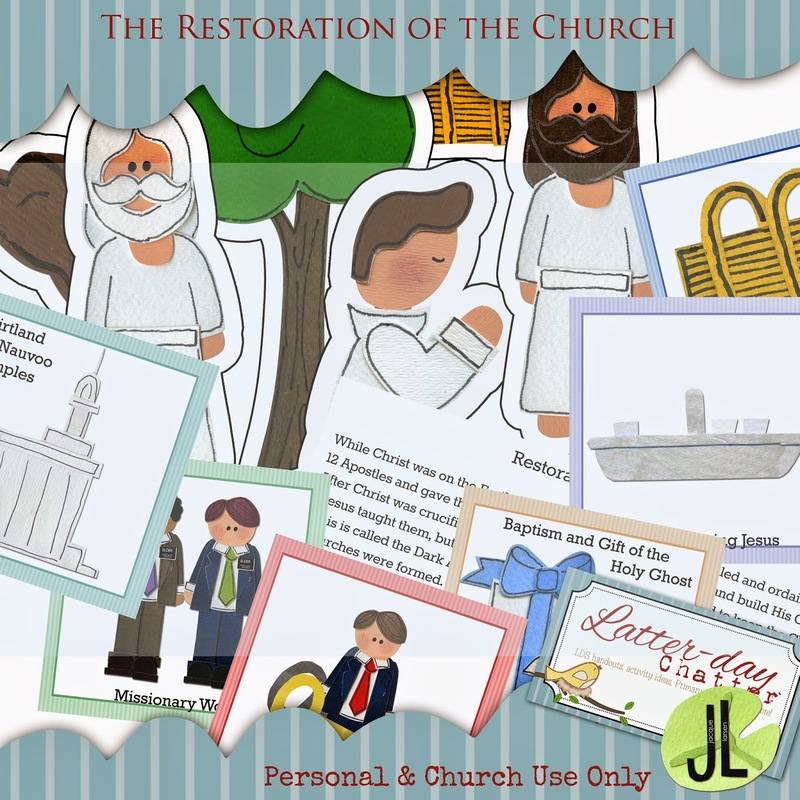 Here's a matching game to play about the Restoration and Joseph Smith. Also included is an explanation of why the name of the Church is the way it is. For Senior Primary, prepare questions about the Restoration that can be found in the scriptures or that are just interesting to know when they get a match.